If there were an award handed out for the most impressive venue for a national competition, Enactus Netherlands may just win it. 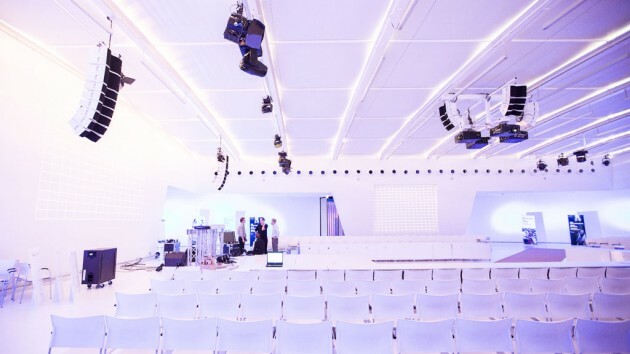 Held on 13 June at Mediaplaza at Jaarbeurs Utrecht, the competition’s main ceremony room looked like it was set to host an international fashion show or major brand release, with its bright lights and modern design. The look and feel of the room, however, paled in comparison to the energy, excitement and passion displayed by the teams that presented, the faculty who cheered them on, and the executives who gave their time to make the day such a success. 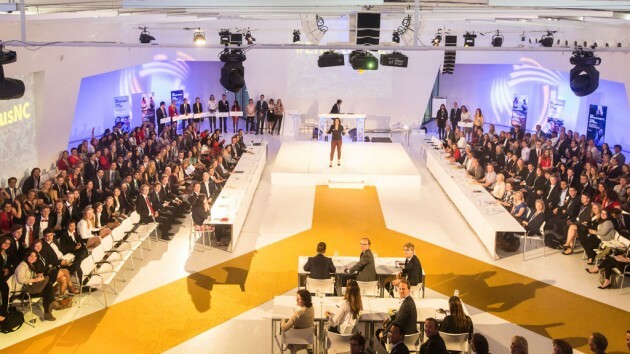 More than 600 people came together for the event, the largest in the history of the Enactus Netherlands program, with 11 teams sharing the results of their outreach initiatives over two rounds of competition. In the opening round, 43 judges selected four teams to move on and 24 final round judges had the difficult task of selecting a national champion team. In the end, the Enactus team from Utrecht University came out on top, wowing judges with their work including Kookeiland, a multicultural catering company in Utrecht, where migrant women have the chance to help run a business while preparing food and catering events. With support from the team, who taught them the skills needed to run a business, the women gain valuable work experience, have an opportunity to practice their Dutch, and have a new outlook on life. Last year, six women were involved, catering 10 events and earning more than €5,000 in revenue. Generously sponsored by Jaarbeurs Utrecht and Randstad, the day-long event also included a rousing keynote address from Mirjam Sterk, Ambassador for Youth Employment for the Dutch Government who spoke about the challenges and opportunities for combatting youth unemployment. Students in attendance had the opportunity to attend the Enterprise Yourself lunch fair, which included various career development workshops and a CV review session to help them in their career search. New this year was the presentation of the Valorization Award, which recognizes those projects that best turn academic knowledge into a practical and innovative service or product to address a societal challenge. 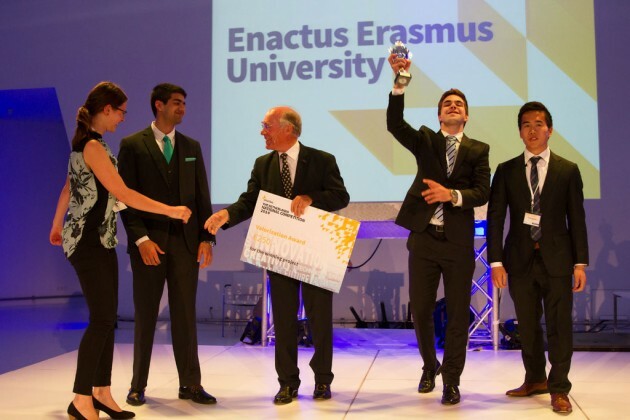 Teams submitted applications to a panel of four judges in advance of the competition, and the Enactus team from Erasmus University received the award during the awards ceremony, earning the team a €250 prize. To deepen the experience for their final round judges, there was an informal reception that brought them together to network, as well as hear from two interesting speakers. First was Chris Heutink, Board Member of Randstad Holding and Board Chairman of Enactus Netherlands, who shared how he has been ‘Enactified’ and the importance of corporate support for the program in the Netherlands. Next, alumna Sherman Chavoushi shared her personal story on how her Enactus experience has affected her and the positive difference it made, both personally and professionally. Watch the final four team presentations from the Enactus Netherlands National Competition on our 2014 National Competition YouTube channel here! Heel erg leuk om in de jury van #enactusnc deel te nemen. Studenten; keep up the good work!